Recently, Onlive Server launched New web hosting plans at a very cheapest Price: France VPS Server Hosting is one of them. Web hosting services are essential for every business to host their websites. 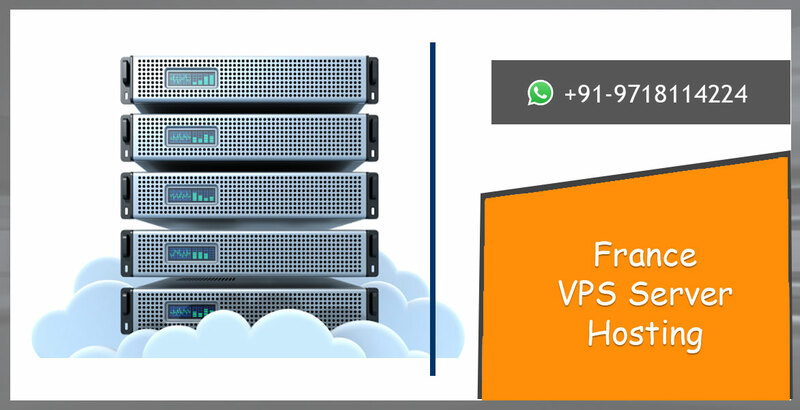 VPS is an essential part of every business because, on behalf of right Hosting plans, your business get success and go to the next level. Onlive Server is a top leading brand in the web hosting industry, here you will get wide option to choose a various type of hosting plans. We response hurry to client ticket never let down the client website. The client does not need to pay more to get better facilities and high security, along with better performance. Basically, our all servers built on a platform of transparency and based on KVM. It is easy to set up and the client can install any applications/software. If we talk about other VPS server provider then their server cannot lift the heavy extra loads by this performance affected. Our VPS can easily load heavy application and never affected performance that’s why our services are best. Buy Cheap France VPS Server Hosting plans with starting at just $9/month. Also, the client will get High configuration servers and can make their own custom plans as per requirements. That is a great opportunity for France’s user to get upto 16GB RAM and 300GB HDD to store a large amount of data. We have own data centers worldwide but France’s user has nearest data-center available in Gravelines. Our hosting plans is secure and safe for every business, it comes with pre-install of Web hosting control panels and website Cpanel. We have a facility of several types of Web Hosting Cpanel such as ISPmanage, MaestroPanel, OpenPanel, Plesk, ServerSuit, Usermin, VestaCP, Virtualmin, Virtualmin Pro, Webmin, Zpanel and more Cpanel available. Affordability: VPS is a most preferred type of web hosting services because it is cost-effective. It easily set up and manage. Many options available: Here starting from minimum basic plans packages. A client will get a wide range of price section according to the Plans and they can cover their specific needs at a minimum budget as well as they can configure their own plan by our customization option. Technical support: One more benefit with our VPS that is client’ll get fast technical support team. If any problem generates which is affected your website then our hosting team will resolve in a minute. We ensure to provide 24/7 maintenance and support. Availability: Our VPS Hosting plans available for more than 30 countries including France at an impressive price. Here data backup and Free setup service available. Overall Security: obviously security is the main purpose for online websites. We provide unbreakable DDoS protection, TLS, and SSL to protect your websites and data from unauthorized access, malware attacks and decrease the spamming score. No, anyone can security breaches. We provide better security features and secure all personal data without any problem. Overall Performance: our VPS gives more flexibility and high bandwidth that this website’s performance increased and take to the business up the level.